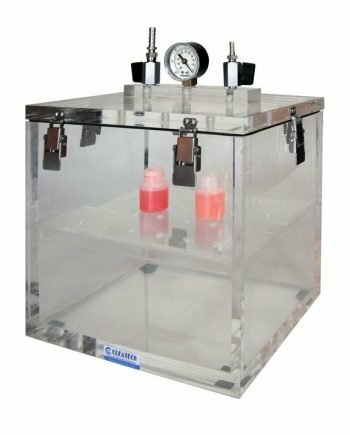 Cleatech® Vacuum Desiccator Cabinets are vacuum chambers made of clear Acrylic designed for vacuum testing, degassing small parts, defoaming, mixed liquids , biological tests and storing samples under sustained low and intermediate vacuums. Theses vacuum desiccators are available in standard and custom sizes. 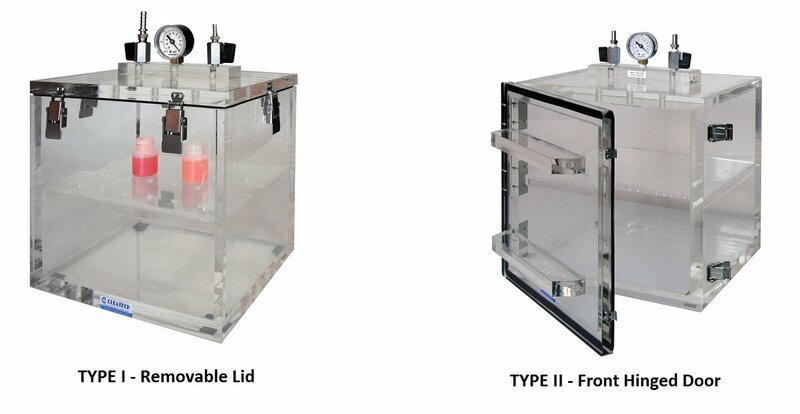 Type I and Type II, Prices include one perforated shelf. 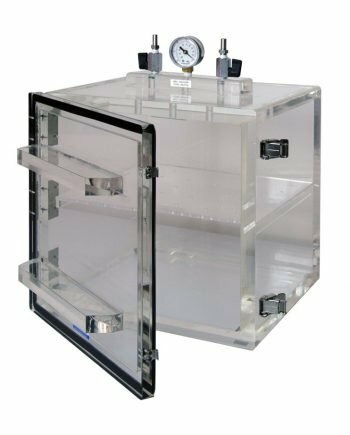 A13-VC: Vacuum Pump Control Unit, desk top, monitors the vacuum level and automatically controls pump operation by turning the pump on/off and opening/closing an in-line solenoid valve to maintain a preset vacuum level (to 29.5″ Hg) in a remote vacuum chamber. Voltage 120V (or 220V), Pressure accuracy -/+ 3% of full scale. Use for air, non-corrosive/non-flammable gases only. V13-VP-T60: 2-Stage Deep Vacuum Pump 6.0 CFM Heavy Duty, single phase (110 VAC) 1/2 HP motor. It comes with a bottle of vacuum oil. 2 stage pumps get to a deeper vacuum and get to the deep vacuum faster than single stage pump. Pumps are CE, TUV, and UL listed. Meet all the safety standards for different countries of the world. 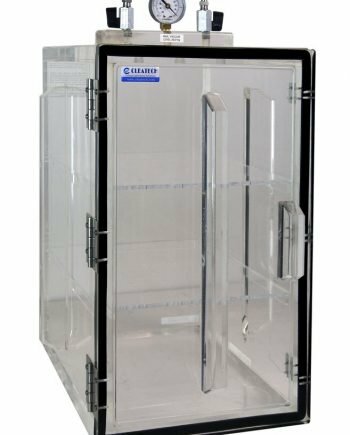 They are ideal for using with Cleatech’s Vacuum Desiccator Cabinets. They are warranted by manufacturer for a year from the date of purchase. This covers all and every defect in materials and workmanship.